Mr de Eusebio was born in 1962 in Madrid, Spain. In 1988 he graduated with Honours from the Polytechnic University of Madrid as a Telecommunications Engineer. He also holds several masters and certifications in ICT and Public Management. He has worked in the ICT industry since 1987. His first jobs were in the private sector as an electronic warfare engineer and afterwards as a radio communications systems engineer. In 1992 he became a Member of the Senior Body of State Civil Administrators and began working for the Spanish Government in the Ministry of Industry. From 1994 he began what would become a constant theme in his career: the modernisation of administrative processes by means of large ICT projects involving human resources (HR) and financial management. He was appointed to positions in the Ministry of Foreign Affairs (1994), Ministry of Health (1995) and the Telecommunications Market Agency (1999). Between 2002 and 2006 he was Deputy Director of the Ministry of Public Administration where he was responsible for the overall e-Government strategy of the Spanish Administration and the coordination of all Spanish Ministries. He also contributed to some major ICT projects. In 2006, Mr de Eusebio was promoted to the position of Chief Information Officer of the Road Traffic National Agency in the Ministry of Interior, working in close cooperation with both the Policía Nacional and the Guardia Civil. He was responsible for streamlining all the services of the Agency and their delivery to millions of citizens. Mr de Eusebio was appointed Executive Advisor to the General Director of the Spanish National Police in 2012. In this role he was responsible for planning and evaluating the National Police Information and Communications systems as well as for their implementation and evaluation under the ICT part of the National Police Strategic Plan 2013-2016. He also oversaw the participation of the National Police in a number of EU security-related projects. 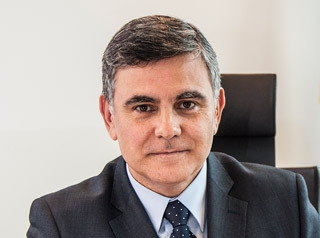 Mr de Eusebio took up the position of Deputy Executive Director of Europol as Head of the Capabilities Directorate in August 2015, where he directly manages staff from ICT, HR and finance. Mr de Eusebio speaks Spanish and English; his interests include classical music and photography.